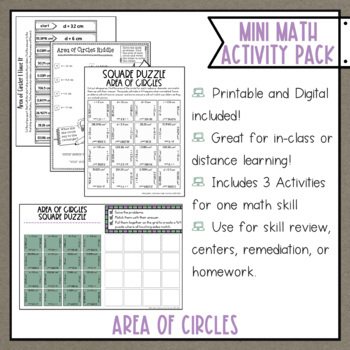 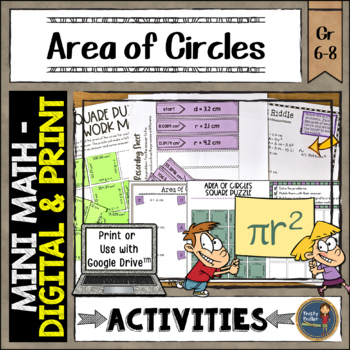 Practice finding the area of circles given a diameter or radius (whole numbers and decimals) with this mini math pack of activities. 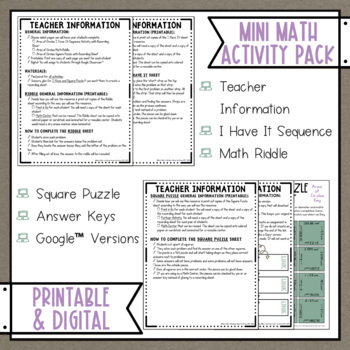 This pack includes a Google Slides version as well as a black & white printable version to meet all of your learners needs. 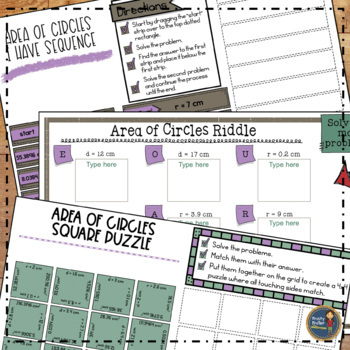 These math activities are great for Pi Day, math centers/math stations, early finishers, or individual assignments in your middle school math class.